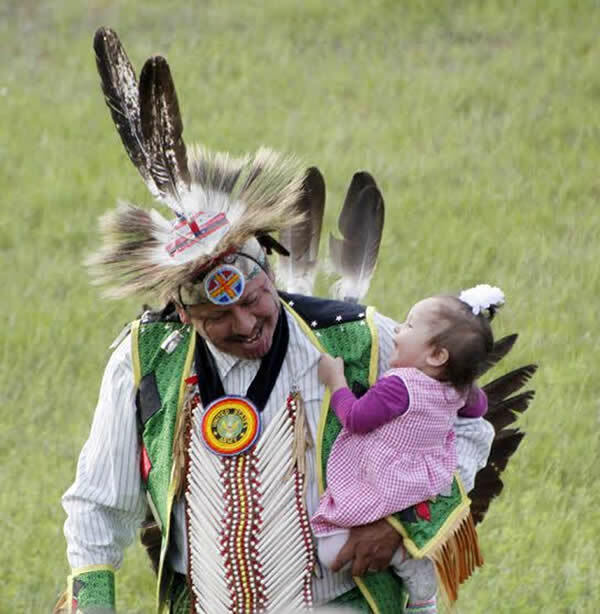 The Indian Bowl has been a centerpiece of cultural sharing and education for Lac du Flambeau and surrounding Northwoods communities since 1951. Traditional dance and storytelling performances have brought audiences together for more than 60 years. 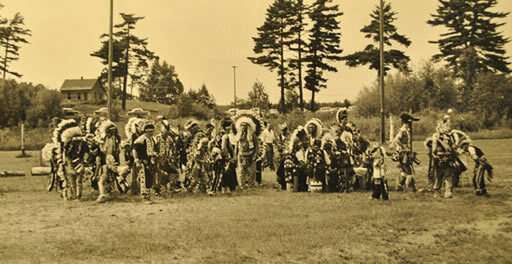 Each summer, the Indian Bowl was the epicenter of gatherings and celebrations for Indian and non-Indian families alike. Tourists to the Northwoods journeyed annually to Lac du Flambeau (Waaswaaganing) to enjoy the best of Ojibwe culture and tradition. Guests were treated to an authentic Native American experience, and took home lasting memories and a piece of living history. In 1965, one of the visitors was President Dwight Eisenhower! In a naming ceremony, the Tribe honored President Eisenhower with the Ojibwe name Giniw-Wi-Giizhig, or Golden Eagle. The venue has offered artisans and historians a place to showcase the best in Native American artistry and traditional cuisine. The economic impact to the community and the region became vital, and many families relied upon the summer income to supplement their subsistence living. In 2004, the Lac du Flambeau community recognized the disrepair the historic facility was facing. Tribal and community leaders came together to create a vision for a new Waaswaaganing Indian Bowl Living Arts and Culture Center. That vision has become a reality, and progress is being made. Suffering the effects of hot, humid summers and snowy winters, the decaying Indian Bowl was demolished in September 2014 to make way for the new facility, and a groundbreaking ceremony was held on August 4, 2016. Construction was completed in July 2017, and the community hosted the July 4th Pow Wow at the new facility. Phase 2 of the project will combine the new Indian Bowl with the George W. Brown, Jr. Ojibwe Museum and the Woodland Indian Arts Center. The Waswagoning Ojibwe Indian Village will also move to the grounds of the Indian Bowl. The new Waaswaaganing Indian Bowl Living Arts and Culture Center will honor heritage and tradition, and provide a first-class venue for contemporary expression of living Native culture through the arts. The Center will be the premiere Northwoods showcase for Native American performing, literary, media and visual arts, and will honor the past, celebrate the present, and prepare young cultural leaders for the future. The Center will be a place for artists to meet, exchange and expand their creative visions, and will serve as a mecca for celebrations and for the education of future generations. 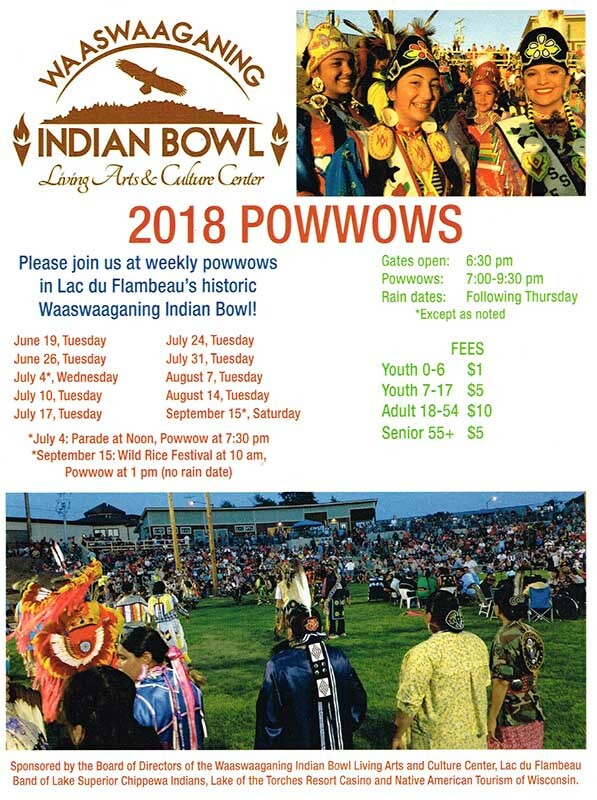 The Waaswaaganing Indian Bowl will again be an important part of the practice and preservation of the traditions and culture of the Lac du Flambeau Tribe. The new Waaswaaganing Indian Bowl Living Arts & Culture Center will be a venue for traditional dance, pow wows and drum-group singing. The Center will provide a better venue for learning the history and culture of the Ojibwe. The new Center will be a regional draw for tourism in the Northwoods. The new Indian Bowl will give children, local families and tourists from all over the world the opportunity to learn about Native American culture and traditions. 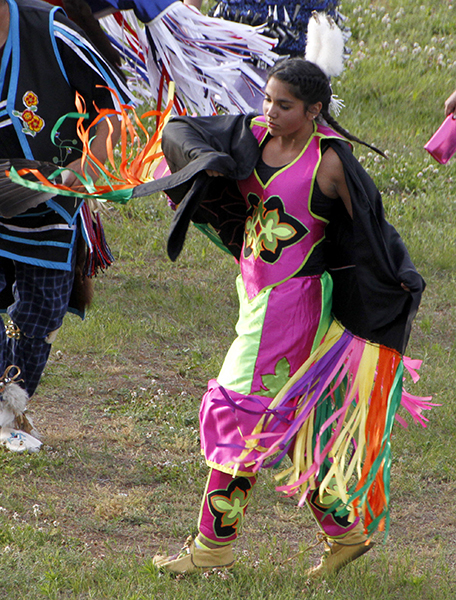 Visitors will have a chance to watch craft demonstrations and to participate in workshops such as birch bark basketry and dance regalia making. In the Cultural Center retail shop, visitors will be able to purchase authentic Ojibwe arts and crafts, and books on Ojibwe history and culture. With the opening of the new Waaswaaganing Indian Bowl Living Arts & Culture, the complex will continue to be the premier cultural tourism attraction of the Northwoods. Copyright Waaswaaganing Indian Bowl. All Rights Reserved.